Available SPDT or DPDT with numerous functions, the BST Series sub-miniature toggle switch is IP67 process sealed and offers multiple latching options. Terminal options include PC pin, horizontal mount right angle PC pin or snap-in bracket, vertical mount right angle PC in or snap-in bracket, PC pin support bracket or snap-in support bracket. The BST Series subminiature switch offers actuator lengths ranging from 4.5mm up to 13.97mm, including anti-static plastic options. 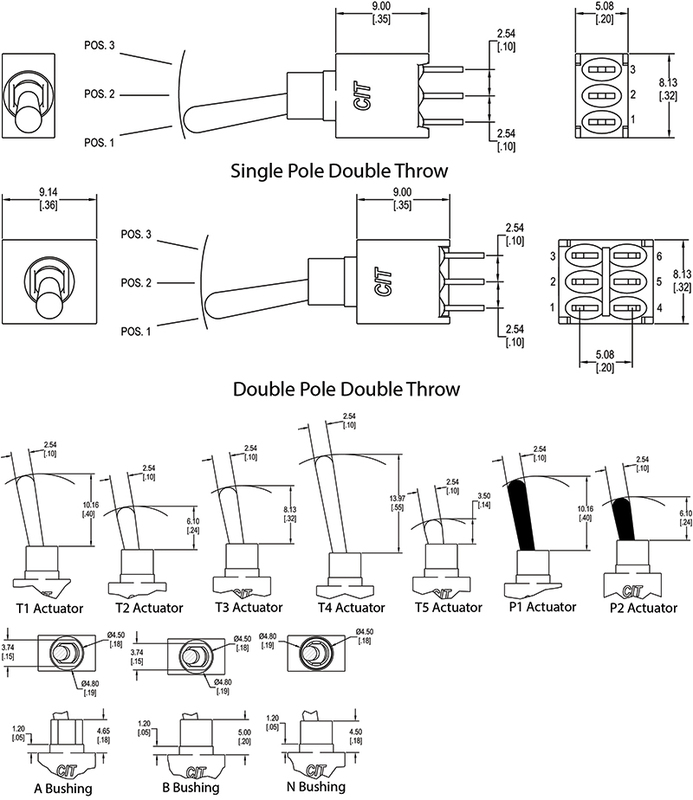 Bushing options for the DPDT/SPDT toggle switch are 4.65mm, 5.0mm or 4.5mm non-threaded. 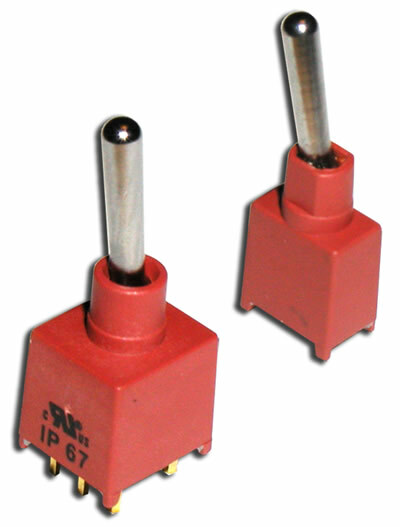 Check out these mini toggle switches from our AST series, if you're interested in a panel mount option.